Touch’s Treat & Train Network of hospitals and educational institutions began with external clinical rotations and has evolved into a key component of our approach. 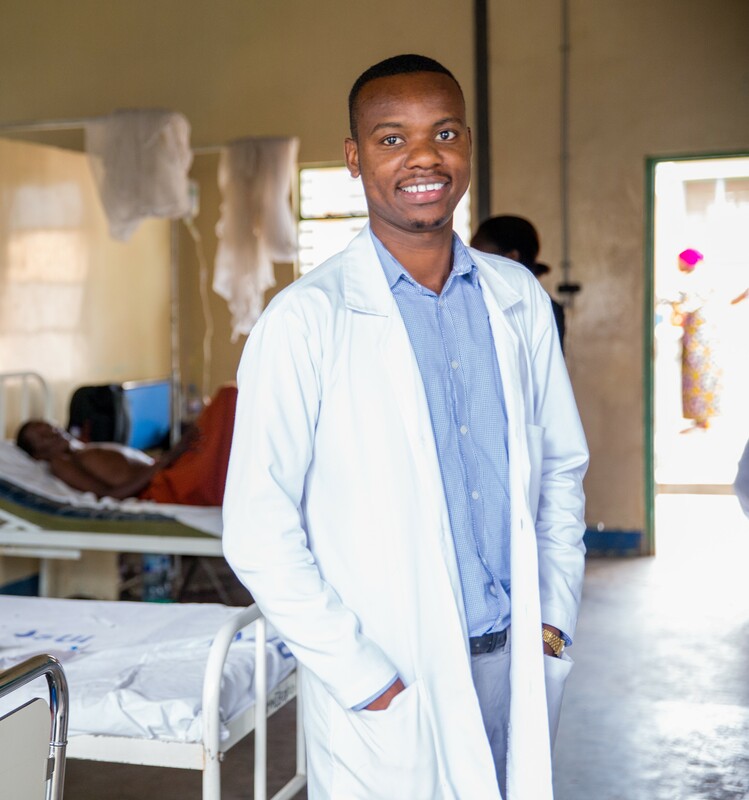 Treat & Train began as an initiative to improve clinical education by connecting hospitals so medical and nursing students could gain valuable experience in smaller external rotations while also helping to provide better care to patients in under-resourced health facilities. External clinical rotations have proved a successful model for improving education and patient care. In addition, students have significantly increased their willingness to work in more remote areas of Tanzania. These increased clinical competencies and willingness for working in more remote and poorer regions of Tanzania will very likely result in significant longer-term benefits to the Tanzanian health system. Furthermore, we realize the value in creating connectivity among health institutions. We have continued to develop this integrated Treat & Train Network of healthcare and educational institutions and this ‘network’ concept shapes our work in the region. By strengthening hospitals within the Treat & Train Network, scarce resources are shared and maximized, and we are able to achieve systems-level improvements. Touch’s Treat & Train Network includes facilities at different levels of care. 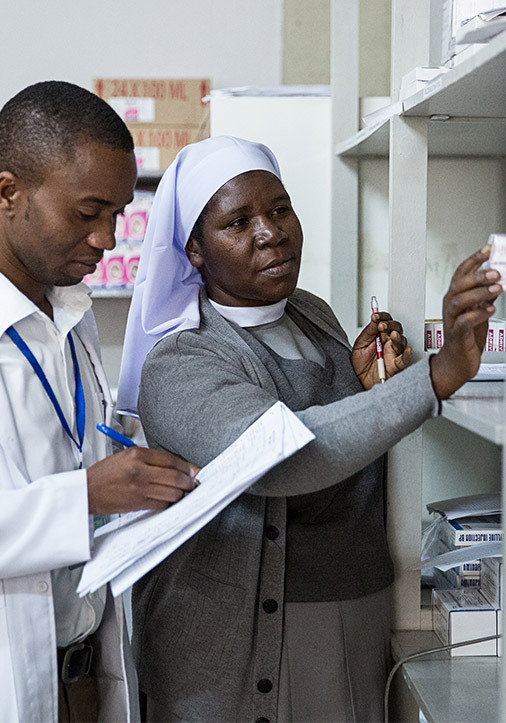 In Tanzania, health facilities are organized into different levels, ranging from village dispensaries, which provide very basic health services, to regional and district hospitals, which provide more comprehensive care, and all the way up to referral hospitals, which provide highly specialized care. Village dispensaries are more accessible to people in rural Tanzania but often must refer patients to higher-level facilities for actual diagnosis or treatment. Referral hospitals provide advanced treatment and surgeries. 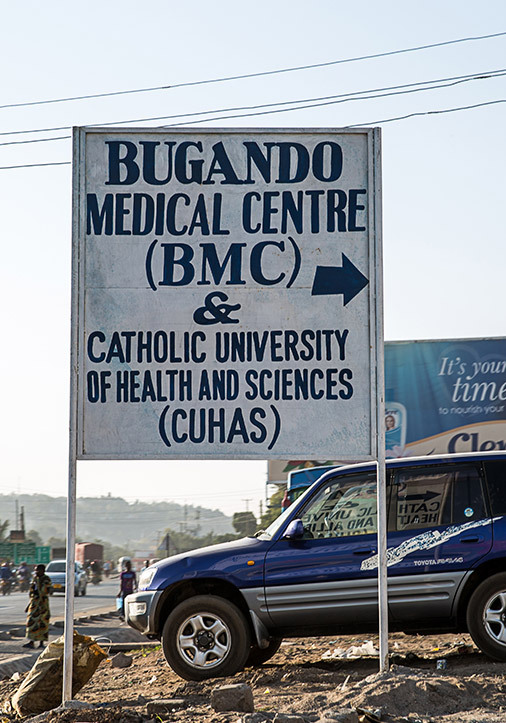 Bugando Medical Centre is a referral hospital and one of Touch’s flagship partners. It serves a population of approximately 17 million people in the Lake Zone of Tanzania. Touch works with the Network institutions to strengthen key elements of the health system, including healthcare worker training and patient care. We believe that creating a network of integrated healthcare and educational institutions is an essential element in our health system strengthening work. 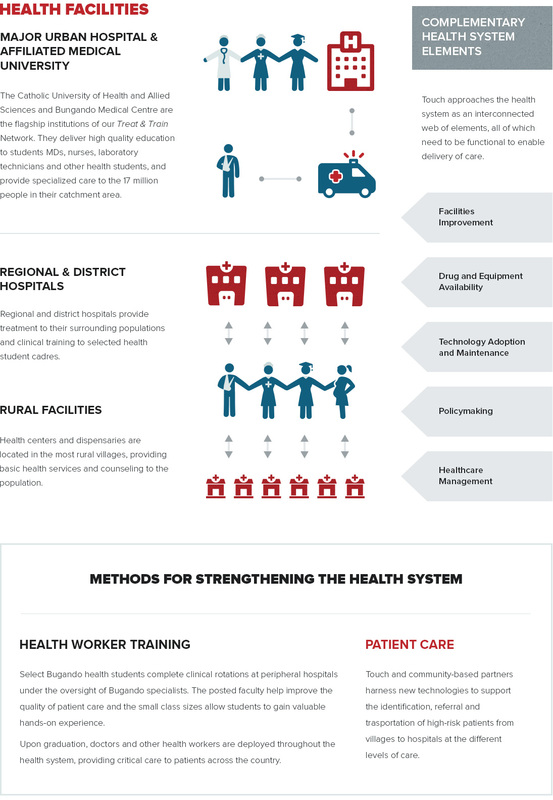 While a number of disconnected initiatives can improve quality of and access to care, we find that by fostering a network of institutions, we are able to scale improvements in not only healthcare worker training, but also areas such as healthcare technology, management and governance, infrastructure, and patient transport and referral. Referral and healthcare worker placement are two key areas of impact within a network model. If patients requiring more routine or basic care are treated at lower-level facilities and specialized treatment is more appropriately coordinated at higher-level facilities, strain on the system is relieved and patients receive better care. We prepare local partners to assume management responsibility and simultaneously work to expand partnerships with new healthcare facilities and extend the Treat & Train Network into more communities. Among our healthcare worker training initiatives, Touch facilitated external clinical rotations for Bugando students. Accompanied by Bugando faculty, students train at Treat & Train’s smaller hospitals and gain valuable hands-on patient experience and have an increased willingness to work at rural remote health facilities in the future. These participating Treat & Train hospitals are short-staffed, so the presence of Bugando students and faculty also provides patients with much needed care. Read more about our healthcare worker training. Inadequate infrastructure for safe water, power, and basic amenities means that patients often do not receive the quality care they need. For example, although Bugando serves a population of over 17 million people, it lacked a functioning waste incinerator and its mortuary was insufficient. By investing in the construction of a new mortuary complex and medical waste incinerator, we created a safer environment for healthcare workers, patients, and the surrounding community. Additional infrastructural investments across the Treat & Train Network include power generators, laundry equipment, laboratories, C-section theatres, and labor and delivery wards. The effective management of healthcare technology is critical to the uninterrupted provision of a full range of services that depend on surgical, laboratory, or other equipment. Touch works with Bugando Medical Centre to strengthen the capacity of their engineering department to maintain and repair their equipment as well as that of several other health facilities in the Lake Zone of Tanzania. This will extend the equipment’s longevity and ensure high quality healthcare. In collaboration with industry experts, we are improving the organizational structure of the department and supporting talent development. We are also developing operational processes based on best practices (e.g. 5S) and revamping the inventory management system to allow proper preventative maintenance of equipment in the hospital. We invest in healthcare technology such as ultrasound equipment so that patients, such as pregnant women or individuals with suspected cardiovascular issues, can receive screening and diagnostic imaging closer to home. Patients that need further testing and treatment may be referred to another Treat & Train facility. We also installed a picture archiving and communication systems (PACS), which allows Treat & Train hospitals to capture, store, view, and share medical images. This is especially important for rural patients who would otherwise travel long distances to see radiologists at referral hospitals. Appropriate medical supplies are frequently unavailable to provide basic care. Touch has donated medical supplies, such as surgical kits and hospital beds, to the Treat & Train health facilities. Our ultimate goal is to transition program management to local ownership. To do so, we provide hospital leadership with opportunities for continued professional development. Today, CUHAS-Bugando is leading the Treat & Train clinical external rotations program and Touch’s direct support has phased out. 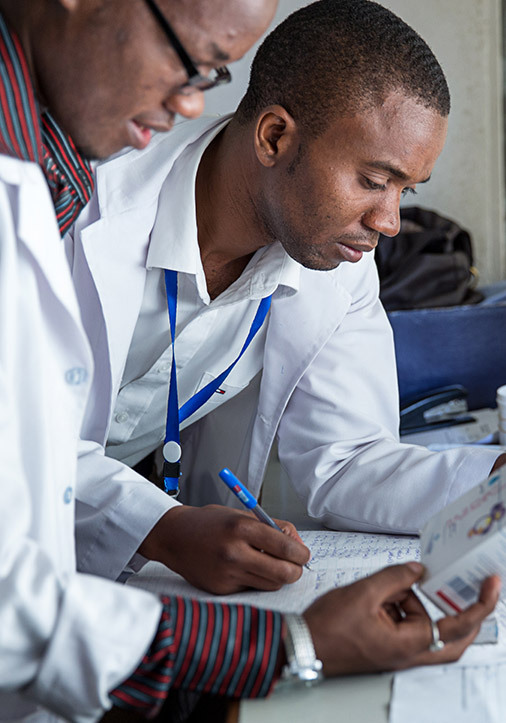 This Social Return on Investment (SROI) analysis measured the impact of the Treat & Train external clinical rotations program on improving the quality of health workforce training and patient care in low-resource rural health facilities in Tanzania’s Lake Zone. This external evaluation captured the major outcomes as identified by the program stakeholders, and then estimated the social and economic value of those outcomes. The SROI amounts to $1.65 by the year 2020 for every $1 invested (program investments between 2012 and 2020). Touch estimates that the program’s return will increase to $5 per $1 invested by 2028, given that the local partners have committed to maintaining this high impact program in the future.